Urban Decay!! (And L’Oréal) – pretty with principles? If you haven’t heard of the Urban Decay Naked palettes, how did you end up on this site? What have you been doing? Where have you been doing it?? They are everything they’re hyped up to be, I couldn’t recommend them enough, and so I really, really want Urban Decay to be allowed In My Makeup Bag. 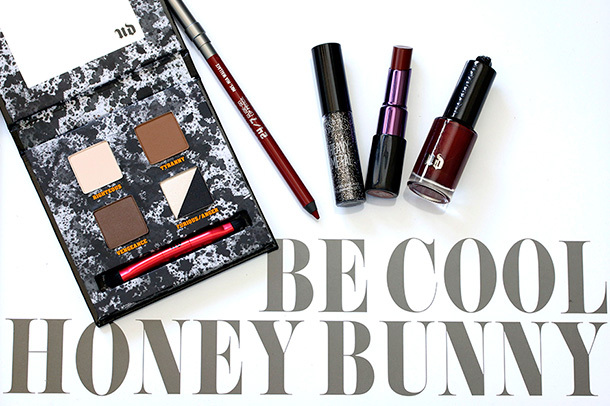 Certified by PETA and Leaping Bunny, Urban Decay scores well on cruelty-free. They also have a wide range of vegan makeup which unfortunately does not include the full Naked palettes. While they used to sell in China when the policy on animal testing was brought in, and after PETA pressured them, they completely stopped. I read this interesting article which explained this decision in terms of ‘business ethics’. Urban Decay lets you build your own palette, so with these vegan shades you can created your own version of the Naked palettes! This was how similar to how the first Naked palettes were made: people working in the office were asked which four eye shadowsthey would take to a desert island. The results were laid out on the table, and Naked was born. This sounds quite similar to the ‘Hot Man Meeting‘ which lead to the creation of Flynn Rider, hero of Tangled; the directors got all the women in the Disney studio to describe their ideal man, and then created Flynn from those characteristics. Like MAC and Dust & Dance, Urban Decay have a charity link. The Ultraviolet Edge is a ‘global initiative to empower women’. They state that ‘by supporting organisations that fight for the rights of women everywhere, we encourage all women to embrace their individuality in everything they do. To us, that’s the definition of beauty with an edge™‘. Sales from the Outspoken Vice Lipstick are donated to charity. There are so many facets of Urban Decay that I really like. They have recently started a brilliant programme aimed to help makeup artists, called UD Pro, available in the USA. Their mission is all about individuality and expression, just like Kat von D; Urban Decay was started by Sandy Lerner and Wende Zomnir to shake up the makeup industry, allowing people to experiment with makeup. In keeping with this, Gwen Stefani created their first celebrity collection, approached by Lerner and Zomnir because they felt that she truly represented their brand. 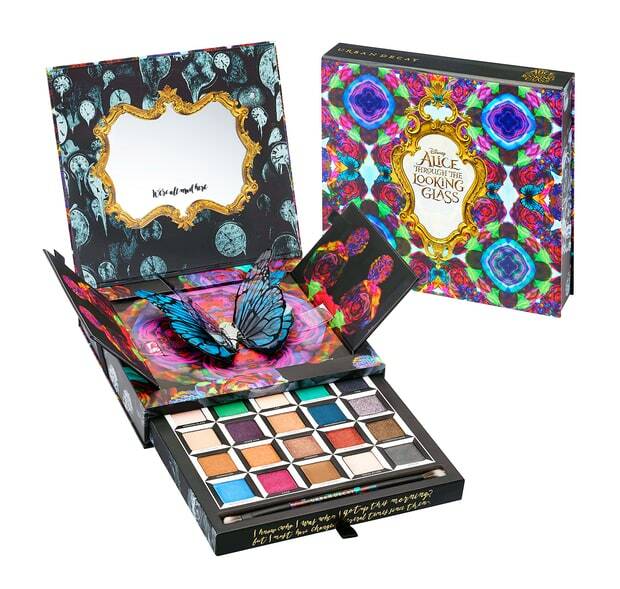 Keep an eye out for their collaborations and limited edition palettes, which are always unusual. Previous examples include: Alice in Wonderland Book of Shadows, The Big Lebowski nail polish, Scream nail polish and a Pulp Fiction collection. Now the part I was worried about: since 2012 Urban Decay has been owned by L’Oréal. Just as you can’t talk about MAC‘s ethics without discussing Estée Lauder, L’Oréal must be taken into account with Urban Decay. Initially I was skeptical about L’Oréal – I’m pretty distrustful of big companies, for many reasons. However, L’Oréal is pretty much the ideal company. Voted the ‘World’s Most Ethical Company’ eight times, because ‘they invest in their local communities around the world, embrace strategies of diversity and inclusion, and focus on long term-ism as a sustainable business advantage’. They stick to their ethics programme, and ti seems to be very effective. Some of L’Oréal owned companies such as Maybelline, Garnier and Shu Uemura do sell in China, but as I said earlier Urban Decay is definitely not one of them. Previous Post Dust and Dance!! Next Post Jeffree Star Cosmetics! !